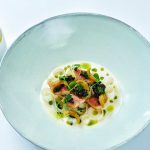 By working with FRENCHEFS, you get access to unique and premium suppliers that can sponsor you to create a successful event with a positive return on investment. 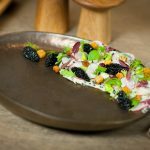 Renowned for its finely chosen caviar, Kaviari is now the supplier to numerous Michelin-starred chefs in France and abroad, including Alain Ducasse, Yannick Alléno, Alain Passard, Bernard and Mathieu Pacaud, Guy Martin and Arnaud Lallement. All these and more are long-time trusted clients. One number says it all: Kaviari supplies 15 of the 26 Michelin triple stars in France – more than half! The key to our success: a range of farmed caviar worthy of the best wild versions, whose different varieties and tastes meet the needs of the most demanding chefs. Our company stands out as well for its close ties to chefs all over the world. The signature recipes that they regularly pass along to us testify to the passion we all share for exceptional food. Lastly, our family business is known for being responsive. Kaviari offers customised products by request and provides premium service around the clock. Our consistently high-quality product and our dedication to working with our restaurant clients surely serve as markers of distinction. 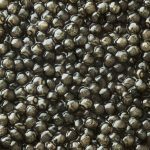 First of all, the word “caviar” comes from the Persian word khaviar, which means “egg carrier”. More specifically, caviar comes from the eggs of the sturgeon. Indeed, his ancient fish has been swimming the cold waters of the Northern Hemisphere for more than 250 million years and lives mostly in the wild in the Caspian Sea, which touches the shores of Iran and Russia. 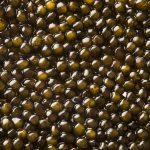 That is the reason why, Wild caviar production has long been associated with Iran, where three of the best varieties of caviar were produced: Beluga, Osetra and Sevruga. Thanks to traditional fishing methods and the time honoured expertise of artisan producers, wild Iranian caviar has been renowned as the best in the world. Over the years, overfishing threatened the sturgeon, and it is now a protected species. However, sturgeon fishing in the Caspian Sea was forbidden in 2008. In order to save the species, producers turned to farming sturgeon within their natural habitat. Kaviari was one of the first companies to take this step while still cultivating its expertise, which had been handed down from master Iranian producers. 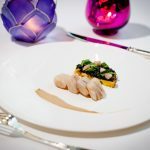 Located in the heart of Paris, Kaviari is among the most prestigious names in caviar and haute gastronomie. Having made its name in wild Iranian caviar, the family-run business started by Raphaël Bouchez and Jacques Nebot relies on its 40 years of experience to offer the best in farmed caviar, ranging from Royal Beluga to the exceptional Kaviari’s own Kristal®. Furthermore, mindful of ensuring the sustainability of the age-old art of caviar production, today this independent artisanal firm works with top fish farms all over the world. Skilled Kaviari staff members join forces with the fish farmers. Indeed, they must adhere to strict specifications concerning water purity, feed quality and the wellbeing of the fish. Moreover, our staff walks farmers through each step of the production process before choosing, on site, the eggs to be aged in our facilities. And this is done under the supervision of Bruno Higos, our head caviar specialist. 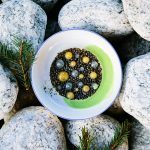 Most of it, it’s this strict transparency and now rare expertise that makes Kaviari one of the world’s best-known caviar producers among top chefs and connoisseurs. Whether wild or farmed, our caviar is produced using the same techniques that demand the savoir-faire of an expert. The roe, which are small sacs that contain the eggs, are delicately removed from the female sturgeon. Then, they are strained, washed and drained. The eggs are then chosen according to various criteria: firmness, colour, size, aroma and taste. Next, they are hand-salted just as needed. Indeed, his subtle balance between salt and roe is what gives the caviar. After being stirred to give it a consistent texture, the caviar is poured into 1.8 kg containers. To conclude, the containers are then sealed under pressure to remove any excess air or liquid. Eventually, the ageing process begins, which gives the caviar its complexity and all its subtle fragrance notes.